If kids always have reading and books as a part of their everyday lives, they are more likely to develop a healthy relationship with both of them. It becomes more likely that children will pick up a book on their own, even if they are not prompted, which can help spark their interest in learning to read while building their literary skills. One of the best ways to acquaint kids with books and reading is to introduce it an early age. It doesn’t matter how young your child is, it is never too early to bring books and reading into their lives. But since young children may not yet understand books or know how to read, it does help to expose them to books that they will still be able to enjoy and interact with regardless. So what are the best kinds of books for babies? Board books are a great first-time book for any baby. These books are easy to look at and play with since babies don’t know how to read yet. The stiff pages are safer for babies who are still developing their motor skills, but it also helps kids learn to use their motor skills and allows them to explore the object physically without getting themselves hurt. Babies like to touch, but they also love to feel around with their mouths as well. It is one of the first ways that babies learn what objects are. Let your baby sift through the pages of a board book and there is no need to worry if they explore the books with their mouths, either. Doing so will allow your baby to develop a relationship with books in general, and simply having them around can help establish them as a staple object in the world that they can become familiar with and explore. Kids are easily dazzled by color, which is why toys and cartoons are so whimsically designed. It inspires their imagination and grabs their attention. By drawing your child to the pages of a book, they can begin to learn how to explore narratives through images while they develop this part of their brain as well as this particular learning skill. The images in a book can be just as captivating and educational as the words, especially for kids who have not yet learned how to read and whose worlds are still inherently visual. Engaging kids by inspiring this aspect of their brains can also help to harness an interest in books as well. Books that use language in creative ways can be really fun for children, especially for kids who are learning to speak or learning to read. Things like rhyming and sing-alongs are great ways to interest kids as well as teach them. Rhyme and song are great tools to employ when teaching kids something new, because it makes new concepts and ideas easier to remember. Rhyming and repeating text helps build your baby’s early language skills. Where Can I Get Baby Books and Sing-Alongs? 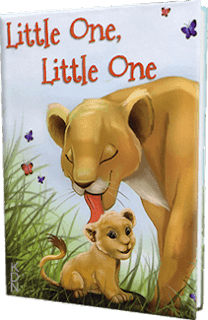 Check out our Little Little One personalized book which has repetitive text and rhyming that will grab your baby’s attention and build their vocabulary and memory skills. We also offer personalized music CD sing-alongs where we insert your baby’s name into the song. 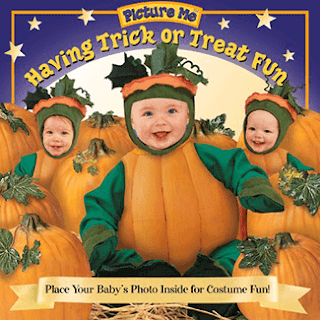 Lastly, we also have personalized baby board books where you can insert your child’s photo. By adding this bit of personality into learning or reading, kids are more likely to get excited and more readily engage with whatever it is that they are doing. Behavior at School vs. Behavior at Home: What’s Normal?